If you been following me for a while now, you know that I like to dress up. 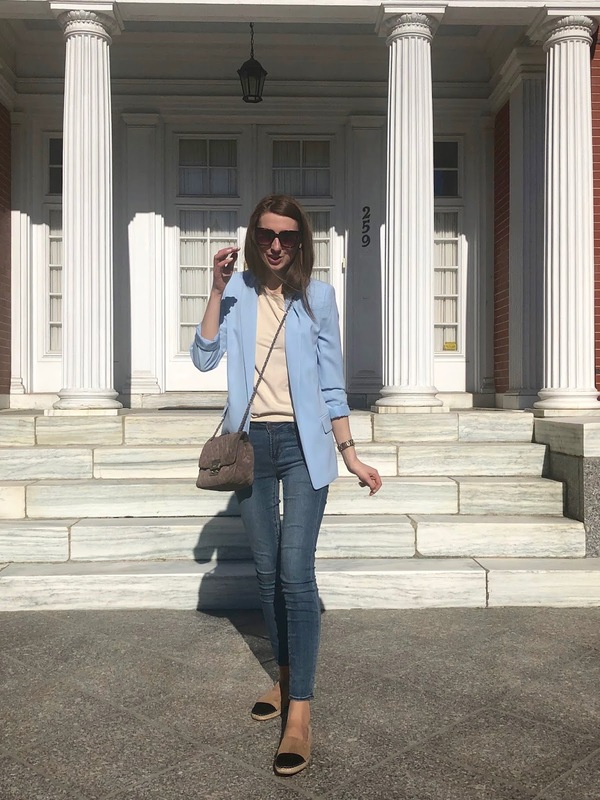 Even on casual days, my style can be described as chic casual. With that said I don't have a lot of money to spend on outfits, so my go-to stores are H&M and Zara. I find outfits there that work with my style and are affordable. These photos don't do it justice, but the color is amazing! You can wear it with a dress, skirt, jeans, or shorts and it will equally look amazing. It has a loose fit and I'm wearing size 4. I'm sure this jacket will be a staple piece in my summer's wardrobe. 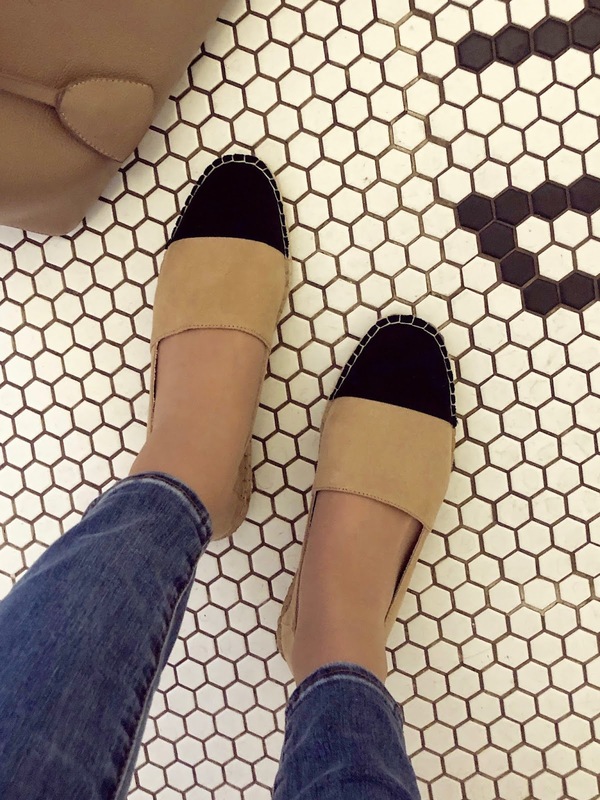 These espadrilles are my new favorite shoes. They aren't just comfortable, but also look great. I love this classic, Chanel style look and I already got tons of compliments on them. 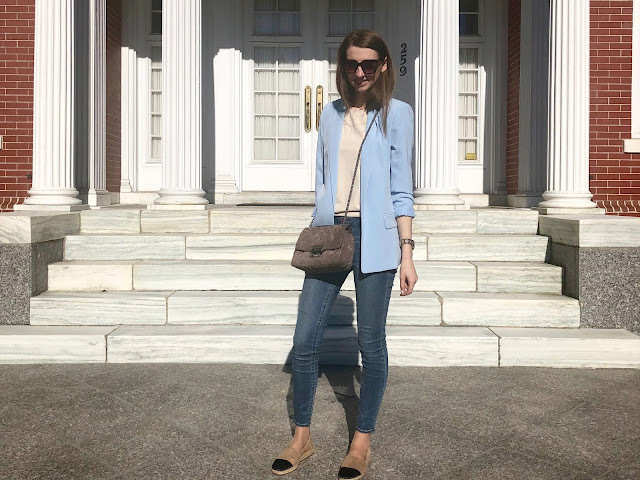 If you are following me on Instagram and want to shop my looks right away and don't wait for the blog post I want to introduce you to 21buttons. It's an app, that lets you shop instantly. Follow my link to download and sign up: 21buttons.com/styledbylesia.